I believe our heritage is one of the most important things we can pass down to our children. My children will never know their grandfather, but I can preserve his memory to be passed down to future generations. Knowing who we are and where we came from is important to understanding our family. Our ancestors were real people, with real families and real stories to share. These stories should not be lost or forgotten. I find genealogy fascinating, but I have not always had the time to do the research needed to go into it. 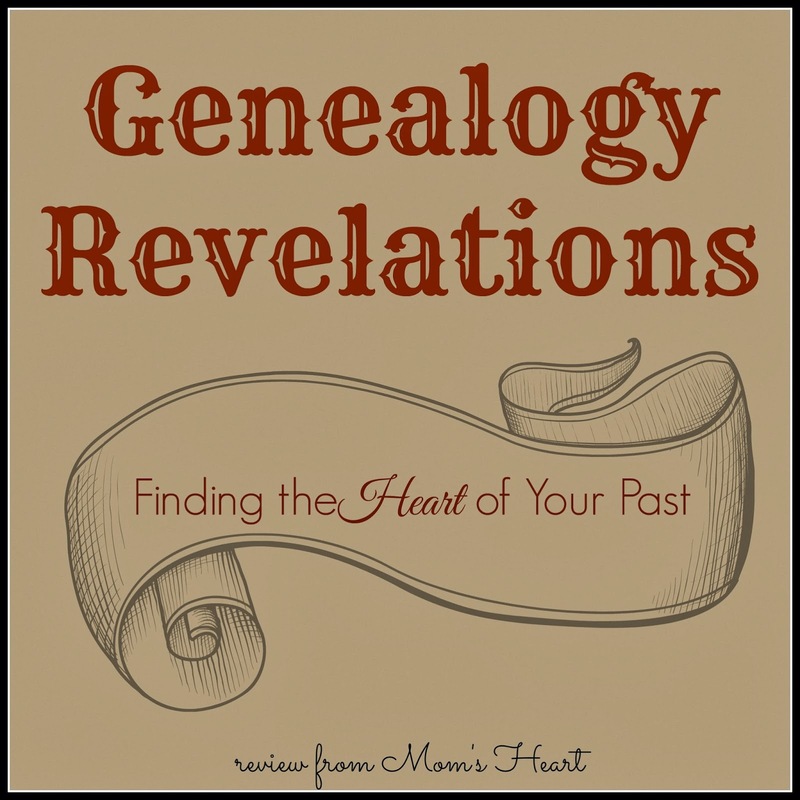 Recently I was given the opportunity to participate in a launch team for Genealogy Revelations, which is a genealogy research website run by Anna Rae. I was so excited about this review, that I gave you a sneak peak a few weeks ago! She does family history research for others who are like me--interested, but maybe don't know where to start or do not have the time right now to pursue it. Or perhaps you've hit a brick wall and need someone with fresh eyes to pursue your leads and further your research. Anna has different family history packages to suit your needs. My package was to include 2 hours of General Research, and all I had to do was fill out a few forms with names and dates. I admit, the forms were a little tricky for me to navigate at first, but I think most of the information was received and assimilated correctly on her end! When all was said and done, I know Anna Rae put in much more effort than two hours. Not only did she have to sort through my information, she also had to do the research, organize all of the information she gathered and type the reports. The report included a Title Page, Introduction, a Pedigree Chart, an Ahnentafel Report, a Descendent Report, and a Family Group Sheet. She also provided a list of all sources that she used to compile the report, which I thought was important in case I want to continue where she left off. Anna sent me a personal shipping notice when she mailed the report, and it arrived very quickly. It was a joy to open it and discover what she had uncovered about my family. I admit, I've dabbled in researching through the various free websites and forums, but it's time consuming and with three small children, homeschooling and regular life, I have only accomplished so much. Anna Rae managed to trace my family line back several generations beyond what I had concretely researched myself. I was thrilled to uncover which ancestor was the first to immigrate to America, and see where the different spellings of our surname started. With new names, dates, and locations, I am prepared to pursue this more earnestly in the future. Anna Rae was truly phenomenal to work with. She was enthusiastic, dedicated and quick to respond to questions. She kept the line of communication open, and this was important to me. Her passion for genealogy is evident, and I can definitely recommend working with Anna Rae and Genealogy Revelations! Please be sure to check out the rest of the launch team reviews, as well as find Anna Rae on Facebook, Titter, G+ and Pinterest. I have thoroughly enjoyed reading her website and the articles she writes about families, traditions, and finding your heritage. As part of the Bow of Bronze Launch Teams, I am happy to share this giveaway with you! 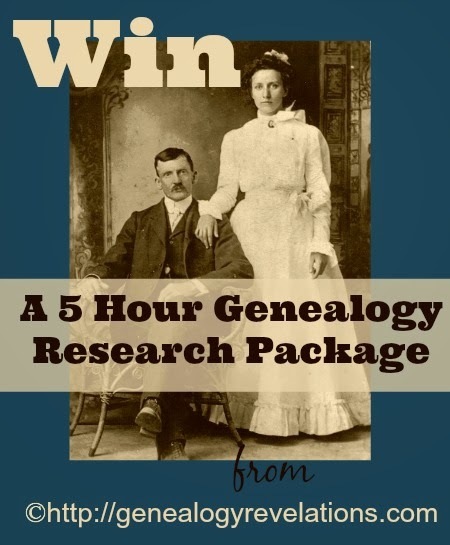 This giveaway is 5 hours of new research by Genealogy Revelations, and is hosted by Genealogy Revelations and Bow of Bronze Launch Teams. For more information, aka "the fine print" please check out Genealogy Research Giveaway from Genealogy Revelations. Genealogy is fascinating isn't it?! My grandfather traced one of our family lines back to Adam. (Yes, Adam.) He did the whole think by hand. It is in the tiniest print. I've got a copy of it and hope to get it custom framed eventually. Now that is awesome! What a treasured keepsake!